4 stunning compositions, including 3 World Premieres, by “an acknowledged chamber-music master” (The New Yorker). 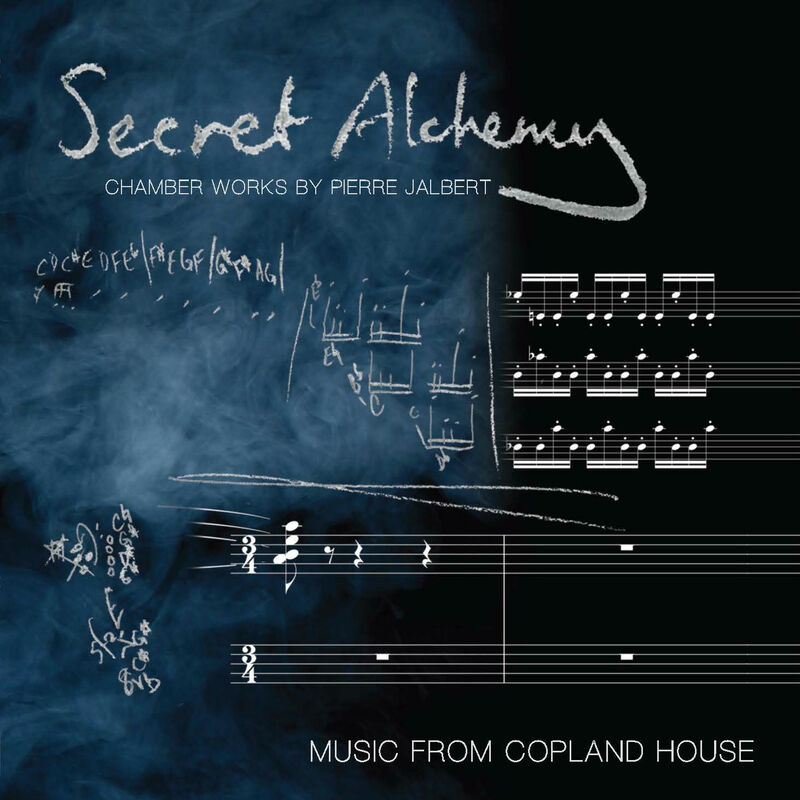 Music from Copland House, “a model for chamber-music camaraderie” (MusicWeb International) performs works by Pierre Jalbert. Propulsive and serene, secular and sacred, the music of Pierre Jalbert is urgent, dynamic, mysterious, and instrumentally brilliant. Like medieval alchemists who transform one element into another, Jalbert revels in the evolution of musical ideas. He has spoken of wide-ranging influences on his work: Stravinsky, Copland, Prokofiev, jazz, pop, Gregorian chant, the longing and inner beauty of church music that makes time stand still and almost meaningless, the off-kilter dazzle of virtuosity in mixed meters. The four works on this release span nearly 15 years, and include three World Premiere recordings and one acclaimed Copland House commission. Growing out of a long relationship that began with Jalbert’s first Copland House residency in 1999 and the New York Premiere in 2001 by Music from Copland House of his Piano Trio No. 1, the CD includes the first recordings of the electrifying title work, Secret Alchemy, which embraces the mystery of creation and the euphoria of discovery; the brooding and exhilarating String Trio; and Crossings, inspired by another kind of transformation – wandering people in a thrilling voyage to new territories and strange lands. The album also offers Jalbert’s fierce and formidable Piano Trio No. 1, one of his most frequently performed works. Available at www.coplandhouse.org, CDBaby, and all other major online distributors.